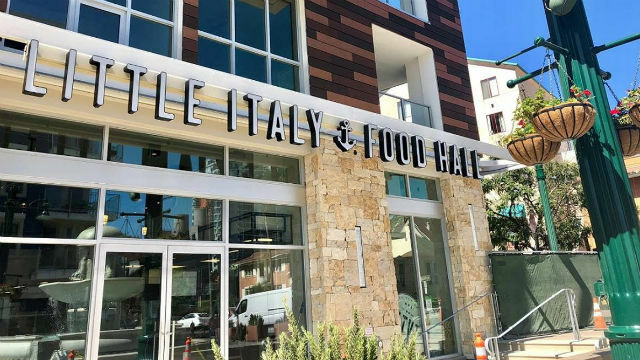 The Little Italy Food Hall will open to the public on Thursday at the downtown neighborhood’s new 11,000 square foot Piazza della Famiglia community plaza. The hall features six food stations, a bar with an Italian-inspired craft cocktail menu, and a space for pop-up cooking demonstrations by Sam “the Cooking Guy” Zien and other chefs. Vendors will include gourmet pizzeria Ambrogio15, Mein St. Asian Kitchen, Zien’s own Not Not Tacos, Roast Meat & Sandwich Shop, Single Fin Kitchen and Wicked Maine Lobster. The hall will pay homage to Little Italy’s maritime past with an assortment of historical photos and authentic nautical materials. It’s the first project by the new Grain & Grit Collective hospitality group in partnership with developer H.G. Fenton Company. Hours are 11 a.m. to 10 p.m. Sunday through Thursday and 11 a.m. to 11 p.m. Friday and Saturday. San Diego’s Patio Group has opened its first North County location, The Patio on 101 bistro in Encinitas. Described as “California coastal chic,” the eatery will serve American classic bites with a twist while paying tribute to the beach community’s traditions of family and fun. “We aim to be the perfect neighbor and bring new, fresh flavors to the area while respecting the coastal roots and traditions,” said Michael Ground, executive chef. 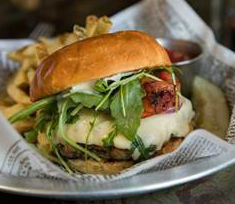 “The Patio on 101 is an elevated American bistro that will be incorporating local flavors from right here in Encinitas. We want to provide the community with a neighborhood restaurant that all can come to for comfort food, local beers and a place to share with their loved ones and friends. The restaurant at 345 S. Coast Highway 101 includes a kid’s area with games, a pet-friendly outdoor lounge and two bars. The Patio on 101 is a sister location to The Patio on Lamont in Pacific Beach and The Patio on Goldfinch in Mission Hills. One Paseo, the 23-acre mixed-use development under construction in Del Mar Heights, has lined up four more restaurants in advance of its opening next year. The new restaurants are CAVA, a Mediterranean fast-casual concept; the popular Salt & Straw ice cream scoop shop; URBN Pizza; and SusieCakes, a home-style bakery specializing in sentimental dessert favorites. Restaurants already announced include Joe & The Juice, The Butchery, North Italia, International Smoke, Tocaya Organica, Sweetfin Poké, Ways & Means Oyster House, Shake Shack, Parakeet Café and Tender Greens. Opening or expanding a restaurant in the San Diego area? Please send an announcement to news@timesofsandiego.com.